Ford first introduced its Taurus sedan in the middle of the 1980s. This luxury vehicle and its Mercury Sable counterpart featured multiple gearboxes. The year of production can help a person seeking a Ford Taurus transmission to find the right model. The PreownedTransmissions.com company sells replacement gearboxes to U.S. buyers for lower than advertised retail prices. The very first gearbox used by Ford inside the Taurus was the ATX design. This is one of the earliest three-speed automatic editions in the Ford lineup. While this edition was offered in the early years, it was quickly replaced by the modified AXOD. This four-speed build is the most well-known and likely the most popular design until the mid 1990s editions were released. The exploration into adding digitally controlled transmissions in the 1980s helped the Taurus. Ford added the AXODE to the lineup as an option to enhance the regular four-speed design. 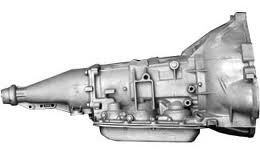 This transmission was used in other vehicles to form the basis of compatibility with the luxury sedans. Ford eventually switched to the AX4S and AX4N designs in the early 1990s. These were equally used in the Sable and other Mercury builds. The PreownedTransmissions.com website was created for easier exploration for used transmissions. There are hundreds of different models available. The quality will always differ between distribution companies. Safeguards to protect buyers of transmissions are in place here. There are no units that are sold without an extended warranty. This produces more OEM coverage for the most essential parts. Evaluations are always performed for gearing quality and mileage. Buying a used transmission for sale is quite a simple procedure here. Every buyer goes through the same process to learn how much a gearbox costs. A quote request must be submitted either online or by phone. Buyers who choose the online method can always use the digital search system. This produces up to date pricing for all four-speed gearboxes for Taurus cars. Dialing the toll-free phone number on this page is another easy way to discover sticker pricing. A specialist in Ford technologies answers all incoming calls. Any question can be asked or more information can be requested. The ways that VIN numbers are matched and engine codes are sorted is helpful to all phone quote request customers. The simplicity of buying gearboxes through this resource is just one part of the incentives offered.